I just love a good magazine. I curl up with my favorite mag and take my time as I examine each article. There is just something about a good magazine that get's my mind racing and creative juices bubbling. It also gives me just the right dose of fashion, entertainment, love and serious social issues to ponder. However some of my favorite mags only come out once a month so I often go through these periods where I rehash old articles hoping to find a morsel of information I may have missed during my previous sessions. Well wait no more because Clutch online magazine is here to scratch my itch. It is a chic online mag. that is updated frequently enough to prevent my mid-month manic episodes from occurring. If you are interested in adding a little pizzazz to your look, then you should check out Shimmy Shea. It is a 100% natural shea based moisturizer infused with oils and minerals that give your skin a beautiful shimmery glow. When I first heard about this product I was thinking it would be shea butter with glitter packed in the container, but such is not the case. The fine subtle minerals blend in perfectly with the shea butter. You will not feel a single abrasive edge as you would if glitter had been used in this product. 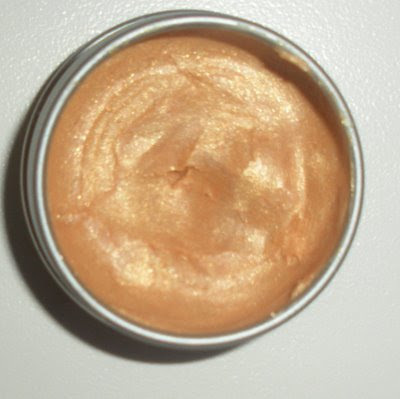 Shimmy Shea is perfect for accenting your shoulders collar bone or any area that you think needs a little glow. Available in four shades you can select your perfect hue for only $25.00. Egyptian Gold is pictured above and on my hand in the picture on the left. You can get your shimmy on by going to shimmy shea. Yesterday I mentioned that I am doing my best to not pop a pimple on my forehead. I am using the new pimple pen blocker by Clearasil, a product designed to fight pimples with salicylic acid . 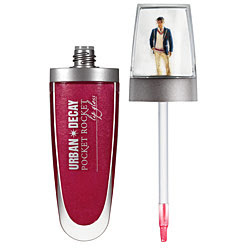 It comes in a nifty lip gloss like tube which makes the gooey product easy to dispense. After two applications on one day I did notice that the pimple was smaller so I guess this little baby is working. I won this on BGG’s site but I see the price listed as $9.59 online. I’m almost certain that you can find this product at a cheaper price. Do you have any at home quick solutions to fight pimples? I don't have access to the pics of the product I wanted to talk about today so I will post on all of that stuff tomorrow. I can tell you that two ripe pimples have formed on my forehead but instead of using my usual bust and destroy method, I am using a new product to see how long it will take for the pimples to disappear. Seriously is anyone watching Harlem Heights? If so, how happy are you that Ashley told Christian that he can kick rocks? (not in those words exactly but you catch me drift). I saw the best weight loss article on my way to the office this morning. Check out how this woman took on her weight issue and WON! 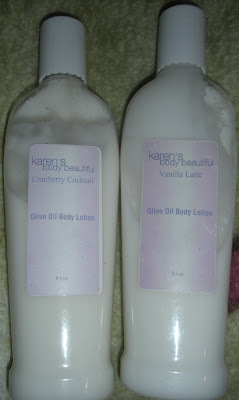 This is another Karen's Body Beautiful product, but this time it isn't for your hair. When she ran a special a few weeks ago I picked up 4 (8.5)oz bottles for $36. The scents are so inviting, every time I put it on someone asks "what are you wearing"- that's how good it smells. The consistency of the lotion is a little hard to describe, it's not thick but it’s not loose either. If you are familiar with the feel of products that include glycerin, then that is what this lotion feels like. The lotion isn't sticky or waxy you don't get build up with this product so feel free to layer it on. You won't get a fantastic shiny glow unless you layer this lotion on so go ahead and indulge! Today is another bronzed review! 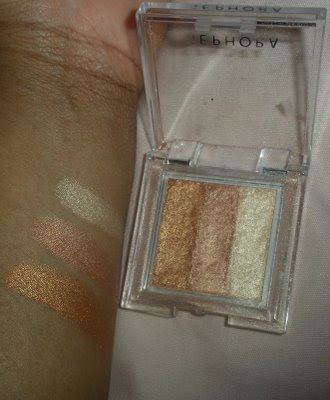 Today I bring you the $16 bronzed trio by Sephora. You will get three shades in one and they each can serve a different purpose. You can mix and match the shades or wear a single color at a time. Whatever you decide to do, you will get beautiful sun kissed glow that lasts. I have combination skin so a powder based bronzed works well especially on my oily t zone to give my skin a matte finish. I must admit that I don't like a completely matte look so. I keep a bit of my dewy gloss by only applying the bronzer on excessively oily spots. 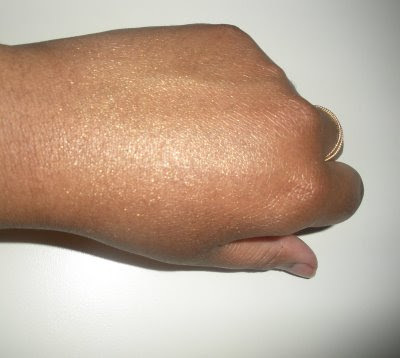 If your skin is oily/combination, you may want to use a power bronzer to minimize the oily appearnce. If you have dry skin, you may want to use a liquid bronzer to give your skin a dewy boost! On Friday I got my hair done and that was the first time I heard my hair dresser say "I have to charge you more today that was a lot to get through, it was almost like a virgin relaxer." however my hair was really soft and it gave me an opportunity to assess the damage from my hair debacle and thankfully it wasn't as bad as I has anticipated but I still want my inches back LOL. Last night on 60 minutes I got a chance to see the man who Jamie Foxx will be playing in his next film The Soloist due out in April. The story is about a brilliant musician who was accepted to Julliard but later became schizophrenic. After receiving failed treatments he became homeless but would play his tattered instruments on the street. There was a moment on 60 minutes where Mr. Ayers was watching a gifted young man play an instrument and he was just watching the guys fingers like he was taking in every movement and recording it, it was amazing to watch. I'm so looking forward to this flick. You can check the trailer here. In case you couldn't tell by now, I love being an award recipient! 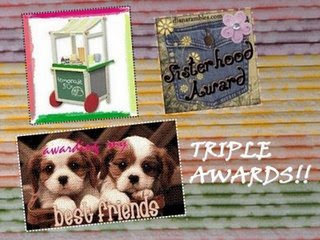 Thanks Amina for nominating me for this triple award, I really really appreciate this honor. 1)Sunshyne over at Hairlicious she is working hard to help ladies keep hair on our heads :-). 2)Keith Reeds Money Corner financially savvy blogger who is willing to guide us all down the right financial path. 3)Betty Brown's Beautification such a fun read! 4)Illusions Cosmetics keeping me up on all the hottest makeup tips. 5)Darius for always making me drool- check out his videos also! 8)Blaq Vixen she had a great post I wanted to link to a while back but I totally forgot to do it. This isn't really a review, because I have not used it yet, but my sister purchased Meera oil for me. It is an Ayurvedic product and it includes amla, henna, hibiscus, fenugreek and vetiver. My sister is a pj as well so the product line never quite ends in our lives. She is well aware of my recent hair debacle and thought this would help me to reach my goals much faster. Do you see that mini tree that is running thorugh the middle of the bottle? Now be honest, does this hard looking product even look like it should be named juicy? Despite the way this hair bar looks, it has earned it's name! This Karen's Body Beautiful product is the best hair bar I have ever used in my life. I really thought it was a joke when I was purchasing it because this specific one is designed for people with dry hair. I was thining it would be like all of the other hair bars but I decided to give it a try only because it is from KBB and I have enjoyed all of her products thus far. All other bar soaps have ever done for me is clean my hair until it feels stripped but this KBB bar was indeed different. After using this $12.00 hair bar, my hair felt clean yet moisturizer. Yes, my hair was wet at the time but it felt silky and not like it had the life sucked out of of by a hair bar. The beginning of this post is my rant/ plea for suggestions, so if you just want to see the product review please scroll down. Yes I mean hair as opposed to here because one second I had hair on my head and the next second it was gone! Maybe I am being overly dramatic but I lost roughly 2-3 inches of hair from my right side. So there I was pre pooing my 4 month post hair and what on earth made me, the protein phobic person, include so much protein in my pre poo? I have no answer for that one but that's what I did and then I sat under a heat cap, then I exercised. I decided to wash out my hair and what do you know, my hair was balled up like a knot...lol this is so not funny. It's like my shed hair wrapped perfectly around my good hair and locked it up in some type of power grip, couple that with the protein which now made my hair hard and you have a knotted up mess. I worked out as much as I could until I just had to do some cutting to resolve the issue. I am really not as sad as one would think after all it's just hair and I haven't had a trim in forever so maybe it was long overdue. However I have not trimmed it out to even up with my left side. I will push my perm up to this weekend just to get an idea of what I am dealing with and then I will act accordingly if more cutting is needed. My right side (the side the grows much faster) is now the shorter side but after assessing the damage, I don't seem to have any split ends or other damage so that is good. Now here is my plea to all of you. 1)Exercising (I was doing this for health related reasons and for a 2010 event) but exercise increases blood flow which helps in stimulating hair growth. 2)Drinking plenty of water (I started my water challenge a few weeks back but water always helps hair growth). 3)I am getting in more sleep time, no more 2-4 hours of rest I need my 5-6 at least! 5)I am also taking Biotin, and a simple complete vitamin pill for women. 6)I am using Surge 14 plus - I will do a post on that later. So is there anything that you would suggest so that I can attempt to get my 2-3 inches or 2-2.5 inches by the end of May? Sometimes a product is just a product and I am fine with that reality. However some companies want to be so cutting edge that they come up with new gimmicks to sell products. Lip gloss has been done in a variety of ways over the years so what does a company do when they have no idea how to improve the formula of a product? They change the tube it's in. Urban Decay's latest lip gloss features men on the tube, and when you tilt the tube this is what Urban Decay says will happen- " with the tilt of the tube, your well-dressed man will be stripped to his undies! Front and rear photos are included for your viewing pleasure, and the flat tube slides right into your pocket." Really Urban Decay, is this the best you could do???? Ok feedback everyone what do you think of this product? I just can't post today on a new product- so sorry. Sometimes my weeks just fly by and I have too much to do. I should have two videos for you next week. Anyway here is the latest from Chrisette Michelle . I promise you I didn't pick the winner myself. I wanted to be fair so the winner was randomly selected through a computerized random generator. Congrats to the winner Laughing808 Please send me your address via email product_junkie_queen@yahoo.com along with the shade of the porduct that you would prefer. Thanks to all of you for entering the giveaway. I promise there is much more to come. Last night/ this morning I was watching the WE channel and there was a show, Girl Meets Gown, about women and their wedding dresses. One woman, now 35 years old, knew the dress she wanted to be married in when she was 16/17. She saw the picture in a magazine, cut it out of the book and carried it through life. She said she took it to college from her undergraduate years, to graduate school and even when she did her doctorate. They had to track down the $14,000 which ended up being in London (or some place like that I forgot). She was a plus size bride so they had to make alterations etc. but it was everything she had envisioned. How much would you spend on a wedding gown? What would you do with the gown after the wedding? Seriously, have you ever seen the infomercial for HIP Hope Abs? 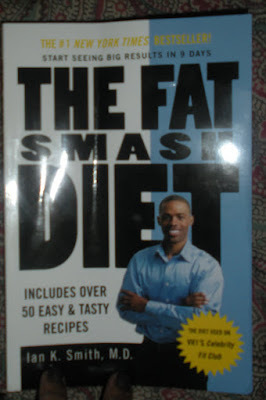 If not it is a fitness cd featuring this dancer who promises to whip your body into shape by performing dance routines. I got my Hip Hop kit yesterday and I did one 28 minutes routine....NICE work out. I like the idea of learning new dance steps while working my body out, it really doesn't even feel like I'm working out. I will keep you up on my progress. Do you have any exciting fitness routines that you like to do? What thoughts roll through your mind when you think of Brooklyn? While Brooklyn may have a reputation of being a tough borough, it also has a sophisticated edge. It's rich with history, culture, and an artistic style that sets it apart from any other borough. You can literally find the best cake shops, boutiques, galleries and impromptu dance competitions all within a 5 block radius in Brooklyn. It's also the original stomping ground of some of the most talented minds of our time, like Spike Lee and Chris Rock. So with all that Brooklyn has going for it, it's about time Brooklyn have it's signature scent. Bond 9 presents Brooklyn, a scent cool enough for your urban care free creative minds yet chic enough for your entrepreneurs and on the go. Brooklyn is a unisex scent that combines grapefruit and juniper leaves, South American guaiacwood and leather among other inviting scents. When I applied this fragrance I can honestly say that it remained on my wrist all day long. 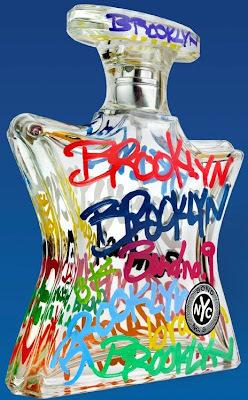 Hitting select boutiques and Saks Fifth Avenue in March, you can get your own whiff of Brooklyn. Retail price $220 for 100ml and $145.00 for 50ml. What do you think of the bottles design? Yes, I had a financial relapse. I stated a few weeks back that I wouldn't purchase any new nail polish because I have enough. However I seemed to forget that promise I made to myself while strolling through Duane Reade. For months I've been passing by the new Sally Hansen Insta_Dri nail polish without a care in the world, but yesterday I picked it up and made my purchase. I am getting back on the ball and ignoring all polishes as they glisten in their cute little bottles when I walk up the aisle.....anyway this product really works. I love the sturdy thick bristles (pic on left). The bristles are thick enough to cover almost my entire nail in one swoop and it does dry instantly. Oh and the other good thing is you really don't need a second coat, this thing packs just enough punch in the first application. I still added a second coat though and a top coat for shine. The color I am wearing is #19 Wined Up. When I need more polish, which shouldn't be any time soon, I am going for the insta- dri. 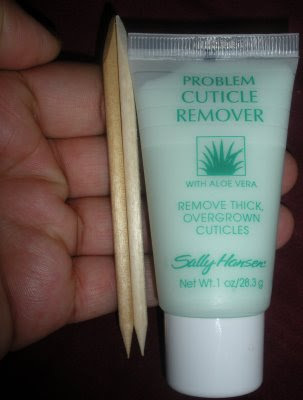 I did notice that it, like many sally hansen products chips easily but if you put on a good top coat, you should be ok. YAY!!!!! Now I don't feel horrible about my relapse, you guys sure know how to make a PJD happy. Ren thanks I just saw your comment too. I don’t know how many of you follow my youtube videos (they are posted on this site), but recently I have received comments regarding my review of the Covergirl Outlast lip stain. It did not work for me and some others yet it did work for some. I came to the conclusion that I probably got a bad tube. One of my youtube viewers put that to the test and she too purchased another tube. Viola, her second tube worked like a charm! I was thinking that I didn't really want to get another tube because I would probably pick up another bad one, so I was encouraged to look for other long lasting lip colors. 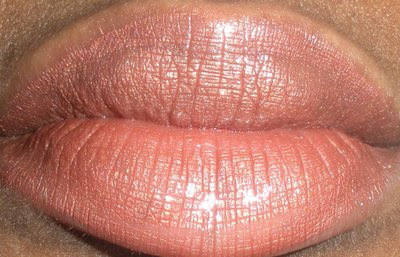 Youtuber xxDolllFacexx recommended a long lasting lip color from Maybelline, which I did purchase (review coming soon) but I put another company to the test first. 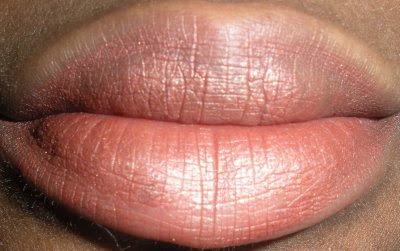 Yesterday I purchased the CoverGirl outlast lip color and it is LONG LASTING. I was able to eat, drink sleep all while keeping my lip color intact. All I needed to do was reapply the gloss to keep the look shiny. It cost $9.99 and I would certainly buy this again. The only problem is that the color I purchased(#301) looks atrocious on me as you can see from the pictures, so I will need to find another color pronto. This is what my lips looks like after applying the Covergirl lip color (the flash of the camera makes my lips look shiny but at this point they actually feel dry). Literally HOURS past and I am eating, drinking etc and here is the final result. My lips look a little dull and some of the color is gone but all I had to do was put on a little more gloss and my lips were still looking good. Which product do you turn to when you want long lasting color? 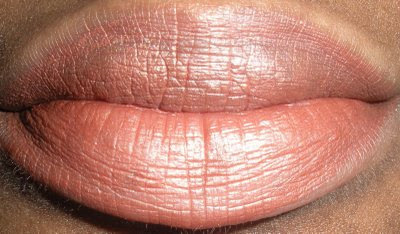 Makeup artists- any tricks of the trade that can make a regular lip color last longer? Some bloggers are now hosting brief radio shows and I think I want to do one..lol- I know totally random. You are looking at the Palmers Moisturizing gel oil which you can purchase for$9.99. Much like regular cocoa butter, palmers claims that this product will moisturize your skin. What I do like about this product is that is includes SPF 15 uva/uvb protection. If I am correct, there is another Palmers cocoa butter that already has spf but this is a thicker long lasting gel with the same level of protection. I like the product other than the fact that it may be a bit too greasy. Don't touch any documents immediately after applying this product because your fingerprints will be all over it. Perhaps a little expensive for a palmers product, but this isn't a bad buy. This Aquaphor product pictured below can be used on dry hands and lips. Think of this product as a thicker version of vaseline. It is from the Eucerin company and I mentioned the thickness of their products in a previous post. Small enough to fit in your purse this 4.99 tube is ok by me, but it would be better if it had a little scent to it. Oh well, can't have everything I suppose. What did you think of the first hour long episode? I love that people will have an opportunity to see Harlem in a new light. Love the fashions that I feel will make an appearance on the show...YAY. Although it started out just a tab bit slow, I will be tuning in for this series. I mean BET is really pushing this show, they even had the cast doing a KFC commercial...lol I'm thinking ok BET I'm already watching enough already...hehe. I want your opinion please. Apparently some people feel that it is inappropriate for Michelle Obama to wear sleeveless outfits. Personally I think those who came before her couldn't pull it off even if they wanted to, so they didn't, and their business suits became the standard. Some may now expect her to uphold that standard when she attends events. Secondly, she always looks appropriate to me and as a grown woman she can wear whatever she wants to wear. What do you think? I think I am going to do my best to wait until May to get my touch up. If I last that long I would have stretched for 23 weeks. Has anyone stretched that long without facing complications?